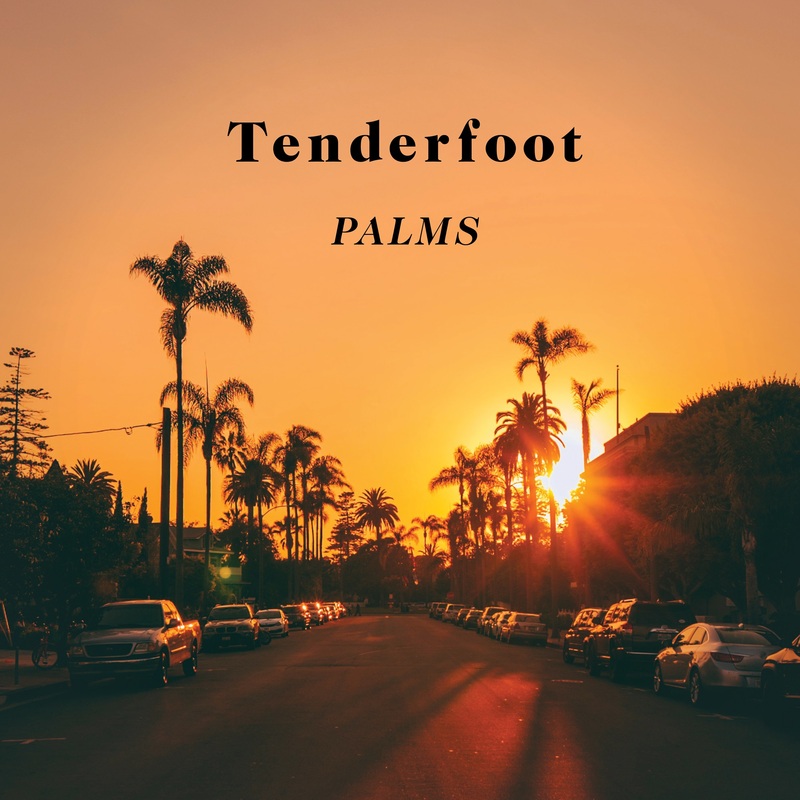 Tenderfoot blend escapism and indulgence together in their raucous new single “Palms,” an intense explosion of raw rock energy and youthful nostalgia. 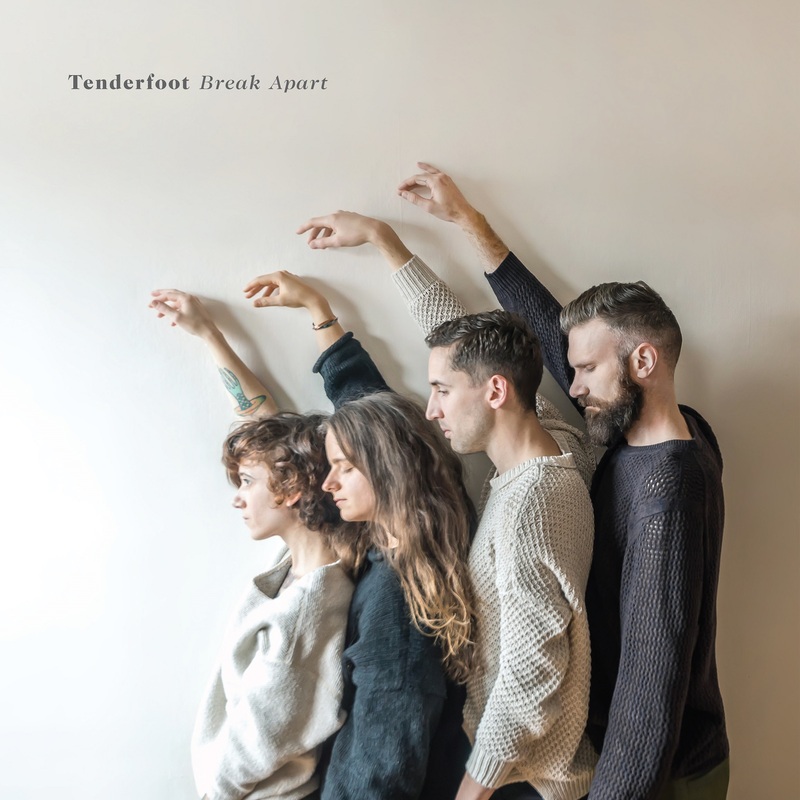 Fast and furious, warm and inviting, “dream folk” rock band Tenderfoot are a kaleidoscopic collision of musical worlds. Their intense performance is the kind that gets your blood in a frenzy, yet it’s their mastery of sonic sculpture – a preference toward subtle atmospheres bolstered by catchy melodies – that keeps you coming back time and time again. Their latest release promises to make an immediate impact, leaving you yearning for more. like I ever could depend upon it. Atwood Magazine is proud to be premiering “Palms,” the third single off Tenderfoot’s upcoming debut album, Break Apart (independently out 2/2/2018). 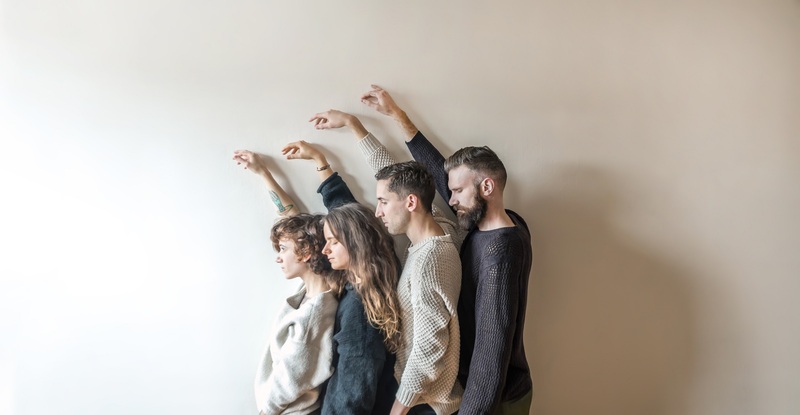 Based out of Seattle and Brooklyn, Tenderfoot is the folk-driven, rock-leaning four-piece of Jude Miqueli (drums), Gabriel Molinaro (keys), Darcey Zoller (strings) and songwriter Adam Kendall Woods. Starting initially as Woods’ reflections on a difficult year spent on the road with his partner, living in a vintage camper trailer towed behind a Volkswagen Rabbit pickup truck, Tenderfoot has since evolved into a vibrant, communal effort based around musical experimentation, dynamic contrast and shameless honesty. The band blend escapism and indulgence together in “Palms,” an intense explosion of raw rock energy and youthful nostalgia. all the overwhelming golden ivy. “Palms” stands in contrast to Tenderfoot’s more vocally forward material; the band spends the majority of the song dwelling in the synergy of overdriven guitars, melodic piano riffs and heavy, driving drums. It reminds one of (should we be so coy?) Death Cab for Cutie’s “I Will Possess Your Heart,” minus another six minutes of anticipatory content. For a band on their debut album to spend any time embracing their sonic surroundings without any vocal or melodic action is a bold move, and for that alone, “Palms” helps Tenderfoot stand apart. And there you have it: Tenderfoot are in and out in under three minutes, incorporating the full band’s power to deliver a heavy, pulsing onslaught that hits hard and fast. Upon first listen, you’re left a little unsure of what’s just happened – but you know you want some more. Be sure to follow Tenderfoot below for more updates on shows and content, and stay tuend for their debut album Break Apart, out next Friday, 2/2/2018!